The price of oil and natural gas rises and falls all the time. Wouldn’t you love to have a little consistency in your energy bills? That’s exactly what you’ll get when you rely on the professionals at Sorensen Roofing & Exteriors for solar panel installation. Our experienced time can design and install a solar energy system on your roof that can help you save more energy and more money every single month, insulating your energy expenses from the fluctuations in the market. And, because energy efficiency is a top concern among homebuyers, one of our solar energy systems could add value to your property and help you sell your home faster when you put it on the market. There are so many reasons to enhance your home with a solar energy system, and our team can help! Let us help you experience the benefits of solar energy. Are you interested in enjoying the benefits of a solar energy system in your Denver home? If so, turn to the professionals at Sorensen Roofing & Exteriors. Regardless of whether you’re interested in solar panels because you want to save more money every month, add more value to your property or enjoy some other benefit of solar energy, the initial investment can be intimidating. But, there’s good news! When it comes to solar energy, there is no shortage of rebates and tax incentives you can take advantage of, which can help to make the costs of going solar much more doable for your average Denver family. Plus, we also offer 100-percent financing through HFS. HFS offers flexible terms, with loans as long as 15 years, and with APRs as low as 3.95 percent. Best of all, decisions on loans of $20,000 or less are instant, so you’ll have no need to play the waiting game. 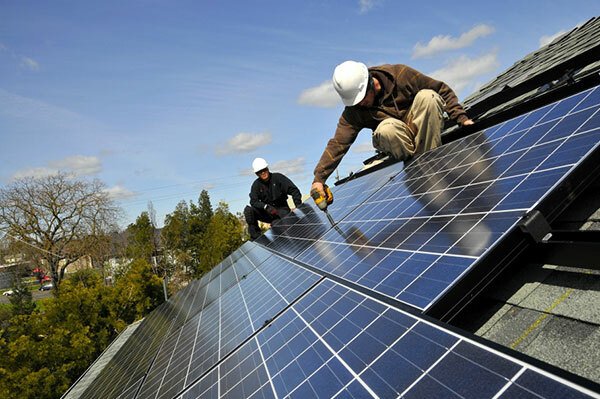 Sorensen Roofing & Exteriors has what it takes to handle all of your solar energy needs in Denver. Contact us today at (970) 251-0911 for your free estimate!